Entwined thoughts - ready to be straightened out ! : Tagged - Tag-a-thon ! I am tagged and here is my post to oblige the tagging. Pranita, am gonna catch you another day ;-) I like reading her blog posts and am bowled over by here blog theme, "Close your eyes and open your heart to the inside... n lo n behold...! Miracles will happen!" 1. Did you know? I don't like to give away my characteristics to others, i like it when people understand me through their own observations. Anyways, everyone's perspective is different right? Now, that am made to say facts about me, am wondering! 2. I like to sketch, i old a great admiration for art. 3. I am musically challenged. Yes, you read me right! It doesn't mean i don't appreciate music - i love them but i don't have the ability to produce them. I really wanna learn music someday. 5. I can listen till you drop to bed. 6. I can also talk till you drop to bed. Lol! 7. I am deep thinker and constantly look at how i can better myself. 8. Right now, working on "Never to lose temper", thought it's rare rare occasion. 9. What else? I am like this kid who comes on T.V commercial - Papa Hero, Papa Cricketer..He wants to become everything that he sees. I don't wanna become everything that i see, but i wanna be able to do a lot of things and not get stuck with the routine. 10. I strongly believe in 'Where there is a will, there is a way"
11. I often think of the people who have walked in & out of my life. Presence of people can make me smile. I am done. Now to answering the questions, framing my questions and tagging. I pity you guys! I have always fantasized a wedding on the shore, pristine water reflecting the event with just few beloved ones gracing the occasion. Chocolates are to die for! I just love the way they feel in my mouth & they brighten up my mood. 3. Do you think the world is really going to end this December? 4. What would be the one last thing you want to do if 2012 is indeed the dooms year? 5. 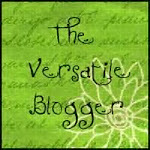 What is one thing you like about my blog and two things that you don't? 6. What aspect of life do you think is unfair? 7. Which is the most romantic movie according to you? 8. What is your dream that you see yourself living someday? So many; to summarize it as a vision : a closely knit family far away from the chaotic world with friends around in a small community that is self-reliant - farming, eating-together, making merry, pursuing interests - reviving life by being worthy to one another ! 9. What does your name mean? Given a chance would you change it? If yes, what would you change it to? Divya means Divine - I am glad the way it is. 10. Do you believe that true love happens only one time? Nope, love can be experienced several times and each time it varies in its magnitude and portrayal. 11. Which of the above ten questions do you think is stupid and why? Now, to my questions, I am gonna keep it simple and short. 1. Life's most beautiful moment? 2. Your definition of God? 3. What's the best thing you admire about Nature? 4. Your biggest weakness and what would you like to do about it? 5. What keeps you moving in life? 6. One thing you would just like to do only once in your life and forget about it? 7. If you were guaranteed to live another 50 years, your top 5 targets for this lifetime? Only seven questions to make this a more enjoyable exercise ;-) Apologies originator - 11 seems too much to do! Yippeeee! It's easier to break some rules ;-) Hope you guys enjoy reading my facts & some of you would take up the task of spreading this. Those 11 things are good to see..
Thats awesome. And I liked the facts about u. A big salute. Bhagyashree - No issues! I'm glad you liked reading about me. Thanks for sharing your thoughts about get rid of acne fast.